Why do you want to work in private equity? Why Private Equity is a common private equity interview questionPrivate Equity Interview QuestionsThis guide will help you be prepared to ace the most common private equity interview questions. The main types of PE interview questions you will encounter include technical knowledge, transaction experience, firm knowledge, and culture fit. you’ll encounter if you’re going through the interview process at a PE firm. It’s important to plan ahead so you’re not caught flat-footed and so that you have a compelling answer to the question. This guide will help you think about how to structure your answer. Why LBO? From CFI’s LBO Modeling Course. Note: the answer below is from the perspective of an investment banking analyst or associate. After working on several consumer internet deals, I’ve realized that I’m extremely passionate about the sector, and I’d like to be closer to operating companies in the space. While I’ve enjoyed working on these deals in IB, I’d like to have a longer-term focus and believe the case for investing in consumer internet is still very strong. I believe the companies you’ve invested in here at PE Company Partners are great names and I’d like to be a part of building and growing this type of portfolio. While I thoroughly enjoy financial modeling work, I’d also like to get some exposure to the Boards of DirectorsBoard of DirectorsA board of directors is essentially a panel of people who are elected to represent shareholders. Every public company is legally required to install a board of directors; nonprofit organizations and many private companies – while not required to – also establish a board of directors. and CEO or CFO of operating companies to help create value. Based on the answer above you can probably identify a few key points that are strategically mentioned. Below is a list of the key points you should probably include. Express a desire to work with portfolio companies to create valueValue AddedValue Added is the extra value created over and above the original value of something. It can apply to products, services, companies, management, and other areas of business. In other words, value-added is the enhancement made by a company/individual to a product or service before offering it to the end customer. While the examples in this article have focused on investment banking (the most common path to private equity), there are other paths that should be mentioned as well. Investment bankingInvestment BankingInvestment banking is the division of a bank that serves governments, corporations & institutions, providing underwriting (capital raising) and mergers and acquisitions (M&A) advisory services. Corporate developmentCorporate DevelopmentCorporate development is the group at a corporation responsible for strategic decisions to grow and restructure its business, establish strategic partnerships, engage in mergers & acquisitions (M&A), and/or achieve organizational excellence. Corp Dev also pursues opportunities that leverage the value of the company’s business platform. Since investment bankers work closely with PE firms on their transactions, IB is by far the most common path into the industry. Top tier consulting firms (McKinsey, Bain, BCG, etc.) may also present opportunities, as well as people who worked on deals at public companies in the corporate development ground. Finally, MBA recruitment can open the door to people from a wider range of backgrounds, though it’s rare to break into PE outside of coming from a previous job in IB, consulting, or Corp Dev. 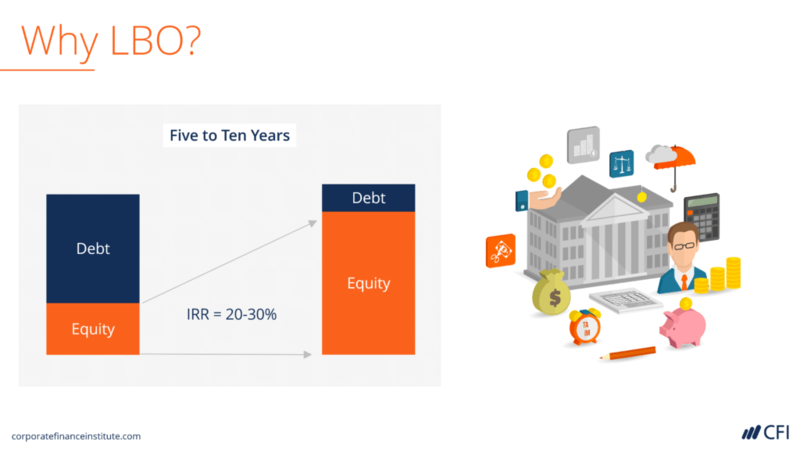 For more practice to the Why Private Equity interview question, compare this guide to our Why Investment Banking? GuideWhy Investment Banking?Almost every investment banking interviewer will ask the question: why investment banking? I want to work in investment banking because it's the fastest way to learn financial modeling, valuation, Excel, and understand the nature of large corporate transactions. I'm aware the job has a strict hierarchy, very long hours. Private Equity Interview Questions & AnswersPrivate Equity Interview QuestionsThis guide will help you be prepared to ace the most common private equity interview questions. The main types of PE interview questions you will encounter include technical knowledge, transaction experience, firm knowledge, and culture fit. FMVA™ Financial Analyst CertificationFMVA™ CertificationThe Financial Modeling & Valueation Analyst (FMVA)™ accreditation is a global standard for financial analysts that covers finance, accounting, financial modeling, valuation, budgeting, forecasting, presentations, and strategy.